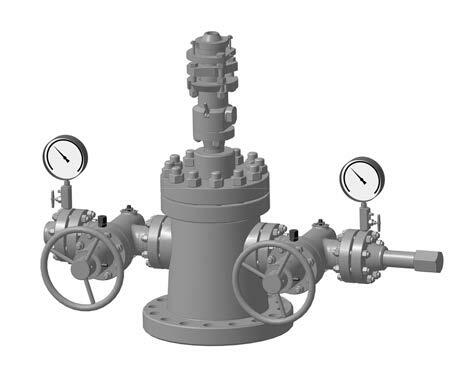 Sucker-rod wellhead assembly (ASh) and injection (ANK) tree are designed for wellhead sealing, sealing of borehole pipelines suspension and operating medium flow control. Bypass shall be provided to avoid hook-up piping of backside with blowing line in case head. phase separators for installation and protection of manometers against unfreezing.